On behalf of the Florida Department of Transportation and the Central Florida Expressway Authority (CFX), thank you for your interest in the Wekiva Parkway design and construction projects. The Wekiva Parkway (State Road 429) is a cooperative effort between these agencies and the Florida's Turnpike Enterprise. In 2018, 13 miles of the parkway were open to traffic. The entire Wekiva Parkway is scheduled to be open to traffic in 2022. Click here to view the overall Project Schedule. Please understand schedules are subject to change due to a host of variables. JOB SEEKERS: Click here to view the list of contractor contacts for the remaining parkway sections. Click on a Section Number for Project Details. The 25-mile tolled expressway will provide travel alternatives and relieve US 441, SR 46 and other area roads of traffic congestion resulting from growth and travel between Orange, Lake and Seminole Counties. 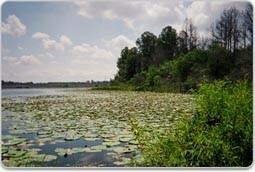 Authorized in 2004 by the Wekiva Parkway and Protection Act (Chapter 369, Part III, F.S. ), this expressway has been heralded as a shining example for transportation planning through an environmentally sensitive area. 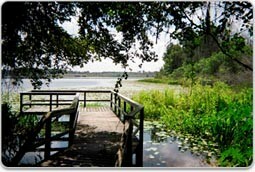 Development of the Wekiva Parkway has included setting aside more than 3,400 acres of land for conservation. The parkway also will include numerous wildlife bridges, and will be largely elevated to reduce accidents between vehicles and wildlife.